Pure Limiter by FLUX:: is a Virtual Effect Audio Plugin. It functions as a VST Plugin, an Audio Units Plugin, an RTAS Plugin and an AAX Plugin. 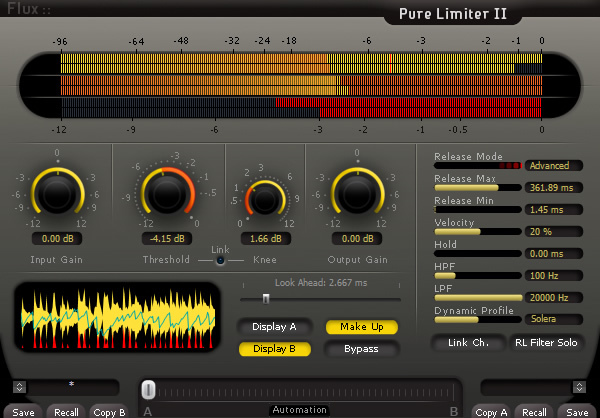 Pure Limiter completes Flux's dynamic processor range. Pure Limiter is supposed to be the very last stage of the processing chain for mastering. It has to preserve the audio integrity despite acting like a brick wall limiter. The key point of a state of the art limiting is the release management. Flux has incorporated all its knowledge about the dynamic management to produce, what they claim is, the cleanest, artifact free limiting processor ever designed. There is no compromise between ease of use and the access to all parameters. Manual: offers a classic approach in parameter settings. Automatic: requires a minimum user action to achieve great results in most cases. Advanced: gives users full control of every parameter when special cases have to be managed. A mode: displays both waveforms of the input signal and the processed signal. B mode: displays a histogram of the waveform including the limiter action and the release value. 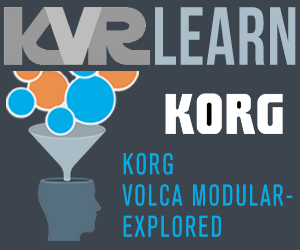 This mode is dedicated to the advanced mode settings allowing a user to control the release variation. 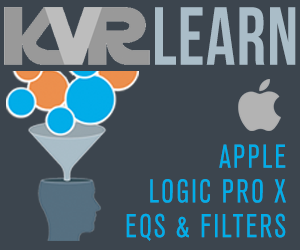 Pure Limiter also includes a band pass filter before the dynamic detector in order to keep only the relevant part of the signal when computing the release value. Of course monitoring of the filtered signal is available. The soft knee control can be linked to the threshold to produce smoother limiting. The look ahead parameter, when engaged, compensates the detector latency for the release value and anticipates the smoothness of the limiting action. This detail makes a great difference regarding the naturalness of the processed audio. As usual for Flux plug-ins, 8 audio channels are supported up to 192 kHz. The processing is 64-bits float.